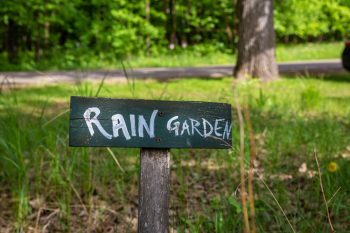 What is a rain garden, you may ask? Don’t worry about picturing a place full of tropical plants–that’s a rainforest. 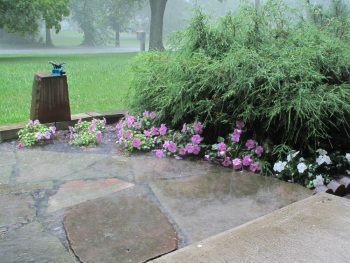 Today we are talking about rain gardens, which are actually a very helpful area of any home landscape. Stick around while I show you why you may need one! 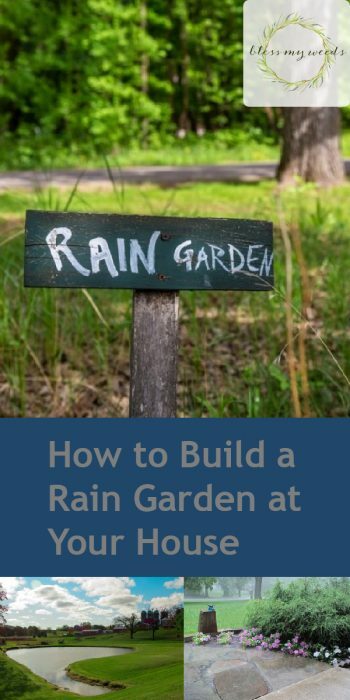 A rain garden is similar to the retention pond concept. It’s a place in your landscape where runoff from rains is diverted. 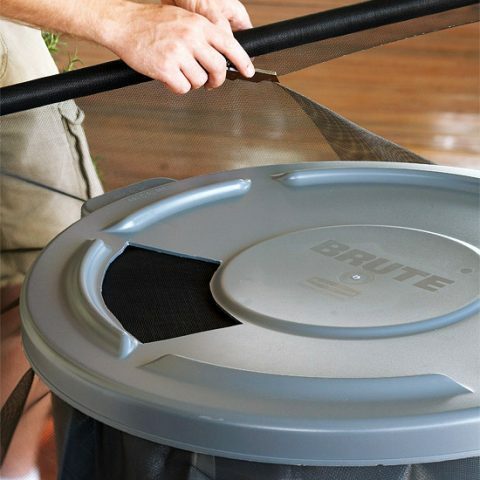 This is helpful because it lessens the chance that rainwater can seep into your basement. Through the use of plastic piping or cement channels, rainwater is directed from a downspout to a safe area where it drains away without causing damage to your home. 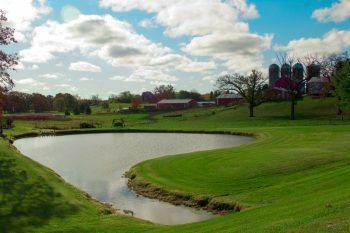 However, unlike a retention pond, a rain garden allows water to drain away completely and quickly. A home rain garden is planted with deep-rooted plants that serve to help the water drain quickly into the soil. So if you are wondering if mosquitoes are a problem, the answer is no. The water is not allowed to sit there. It is designed so that the water drains safely away within one day. No mosquitoes! Locate a low spot in your yard, at least 10 feet away from the house. You’ll need at least a 2% slope leading to the garden to promote a natural run-off system. You can direct the water from downspouts, driveways, etc., using underground PVC pipe or above ground channels of cement or river rock. A good rule of thumb is make your rain garden 12-inches deep. This depth will drain away 12 inches of water in a 24 hour period. You can adjust this per the average rainfall in your area. Check with a master gardener in your area for suggestions on other plants in your zone that thrive in a rain garden.